A second republic lawmaker and one of the heavyweight political commentators of North extraction, Dr. Junaid Mohammed has called on President Muhammadu Buhari to resign his position before 2019 general election. 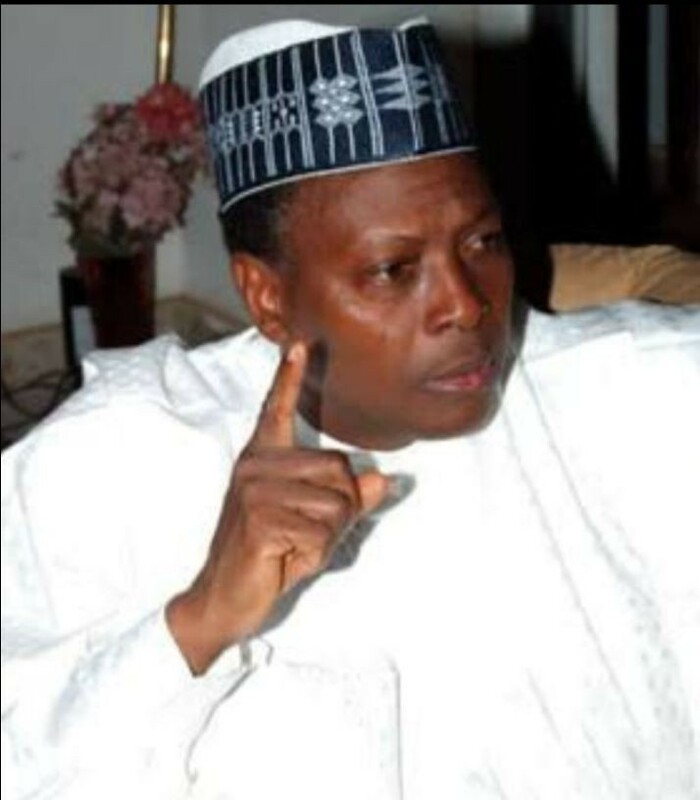 Junaid, a member of Northern Elders Forum though speaking on his personal ground was reacting to recent endorsement of President Buhari by some All Progressives Congress (APC)’ governors told Gobroadsheet via a telephone call that, Buhari and his current team lack the competency required to turn the country around close to three years in power. “I’m speaking in my personal capacity as a Nigerian and not on behalf of anybody. I have no problem with any political party as a platform. But the problem has always been whether these political party can produce competent leadership the country desire. A leadership that will work the talk and not what we have been having. “Nigerians should not forget in haste that, People’s Democratic Party (PDP) as a political party disappointed them before 2015, hence their coming together to vote out the party and its many bad leaders to ushered in what we now have as APC. “Now Nigerians have to decide who lead them come 2019. Personally, I don’t believe APC under Buhari has anything to convince Nigerians in 2919. It will be better if Buhari can resign before that time because he has failed us as a people and as a country. “The government of Buhari lacks competent people that can help him transfer his idea if he has any into a 21st century reality. His administration has been badly managed by media and politicians who talk down on people who would have helped this government succeed. We in the North have gotten nothing from his administration. “Those endorsing him here and there for second term when he has nothing to show for the first term did not love him but want to use him to return to office too possibly capitalising on his popularity before 2015. “But Buhari should allow the people to elect who they want to lead them and he should also be reminded that, Nigerians will not condone any form of rigging. He should take a bow while the ovation is loudest for him”, he said. Commenting on herdsmen/farmers quagmire he said, President Buhari did not consulted well before coming out with his colonies idea as a means of resolving the crisis saying, the damage has been done. “What does he know about colony? He should have consulted widely, he should have called for people who can think right, people who have the deeper knowledge of colony and its modus operandi. What we have seen and heard is lie upon lie by the presidency. People must come together to dialogue on the way forward and not the President or his lying aides misleading the public with what they know little or nothing about”.